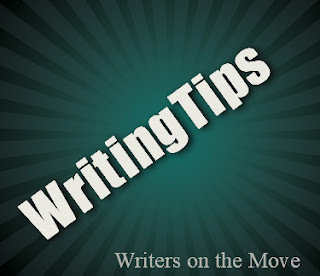 Have you ever yearned for just one simple formula that will help your stories glow with magic and resonate with depth? If everybody knew the secret, everyone would be a best-selling author - or rather, nobody would, because the formula would be a cliché. So it’s important that only you and I know this. Will you give me your solemn word that you will tell no one what I am about to reveal? I can see your eyes narrow. Your lips are widening in a sceptical smile. What, you don’t trust me? I feel intensely hurt. After all, I don’t have to tell you. I’m simply trying to pass on to you, in good faith, what I have learned from judging more than 3000 entries at my Writers’ Village story contest these past three years. How come some won cash prizes and others didn’t? Why did many hundreds of stories, otherwise excellent in their craft techniques, fail by a whisker? The secret is worth the wait. And have you read the secret before? Of course, you have. The ‘secret’ was in the structure of my last three paragraphs. And you’ve just read those paragraphs! Please let me explain. A competent story might include sparkling dialogue, strong conflict, well chosen words, firm structure and a satisfying close. Yet still it can fail. Why? It lacks depth. The reader is not emotionally engaged in the ‘hypotext’. Sometimes called a subtext, the hypotext is the story beneath the story. It’s what’s going on, privately, in the characters’ thoughts and feelings. 3. What other characters think and feel about it at the time. The narrator’s words have been dramatised by body language, reflection and emotional response. That’s fine, so far as it goes. However, few authors segue into step three: show how other characters in the scene are responding to that incident. That may not be great writing but it has depth. Now we can feel the interplay of emotions in that room and know or suspect every character’s unspoken thoughts, the hypotext behind the surface narrative. But what if you’re telling the tale from a first-person pov? How can the key character - or reader - plausibly know what another character is thinking? No problem. Let them speculate. Or the reader can draw inferences from a character’s actions or body language. Keep that 3-step process going throughout your story and the reader will be emotionally engaged whether or not they like your characters. They will feel the emotional tensions in every scene as if they were physically present. And your story will acquire depth. The article reveals a simple 3-step process that can add instant depth to any scene. While most competent authors know the first two steps, very few understand step 3 - the secret that can turn a mediocre story into a great one. Excellent! Action creates re-action is what I try to get across to my writing students and editing clients. Heidi, I love this article. There's so much writing value in it. I don't think many writers thing about the reactions of other characters in a scene in regard to a particular incident. Awesome! I will think about this as work on a re-write. Wanda, I agree. It's an awesome article!